Our trained professional movers have the experience and training needed to handle all types of Langley moves. 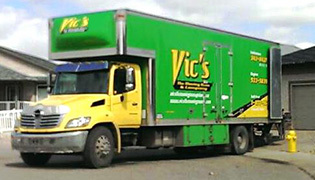 With Vic’s The Moving Man, your belongings are in great hands! Time is money. That’s why our experienced team of Langley office movers is available 24 hours a day to keep your business running even during an office move. You can trust us to provide the high level of service that you need. Vic’s The Moving Man is the leader in Langley residential moving. Whether you’re moving to Langley, BC or leaving Langley, we can help you with a wide variety of moving services. Please give us a call at 778 870 7168 for more information. If you’re looking for commercial and office moving in Langley, we are the clear choice. We invite you to place your trust in our experienced office moving team. We’ll keep you going during your move and let you continue to contact business with minimal interruptions! Need help with Langley Storage? 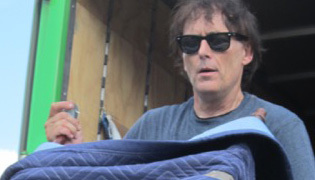 From self-storage and mini storage to warehouse storage, trust Vic's The Moving Man! We are premier storage location in Langley. 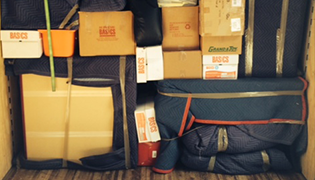 Talk to our storage services team and we can help you store just about anything! Moving is stressful and annoying. Between organizing, packing, cleaning, changing your address, forwarding your mail and taking all of the other steps that are necessary, it can be completely overwhelming. That’s where we come in. Vic’s The Moving Man helps take some of the pressure off and simplifies the process of relocating your life. If you’re moving to Langley, from Langley or anywhere within Langley, we can help. We offer a variety of residential and commercial moving services throughout the Langley area and beyond. We have the experience and resources needed for both local and long distance moves. It is our goal to make sure that you have a smooth transition to your new home or office. We’ve built our reputation based on our clients’ trust. We understand the responsibility that you place with us and always ensure that we take the greatest care with your belongings. Vic’s The Moving man is a full service Langley moving company with the ability to provide a number of storage options and professional packing services in addition to our full range of professional moving options. We take steps to make moving as stress-free and hassle-free. It is our goal to offer the most reliable, professional and affordable residential and commercial moving services. We personalize our services for each of our Langley clients, making sure that you receive the exact services that meet your needs. From speciality services like moving a grand piano to taking special care with file folders of important documents, you can trust Vic’s The Moving Man. Whether you’re moving locally within Langley or if you’re embarking on a long distance move, you can be assured that our belongings will arrive in the same condition as when they were carefully packed for the trip. We always adhere to the highest standards of quality. All of our employees are bonded, insured, experienced and truly care about our customers. In fact, our greatest accomplishment is our record of impeccable customer satisfaction. We always put a focus on superior customer service. We dedicate ourselves to providing businesses and individuals across Langley with high quality and professional moving services. You can trust our moving company to make the relocation process easier. We coordinate and plan each move, keeping the individual needs of our clients in mind at all times. We know that you expect and deserve fast and safe moving to and from Langley. Forget about losing items, broken furniture and other common issues that many people have come to associate with a typical residential or office move. When you work with Vic’s The Moving Man, you are working with a dedicated company that focuses on ensuring the smoothest, safest and most reliable move possible. All of our movers use the latest specialized equipment and packing materials, making sure that your property receives the highest level of protection at all times. We have years of experience in the moving industry, so you can trust our Langley movers to organize and carry out your move with care and skill. Customer satisfaction is one of the primary goals of our Langley moving company. Our team of professional movers make hassle-free and stress-free moving our main priority. We work to provide superior service at the best price in Langley, British Columbia. If you’re looking to move in or around Langley, please feel free to contact our consultants with any questions that you have or to get an accurate and no-obligation estimate for your move.